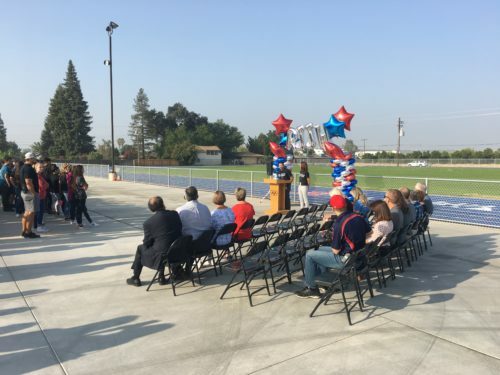 This morning the staff and students of Rafer Johnson Junior High School in Kingsburg Elementary Charter School District, as well as District staff, Board members, and Industry partners, gathered to cut the ribbon and celebrate the grand opening of the new sports complex. 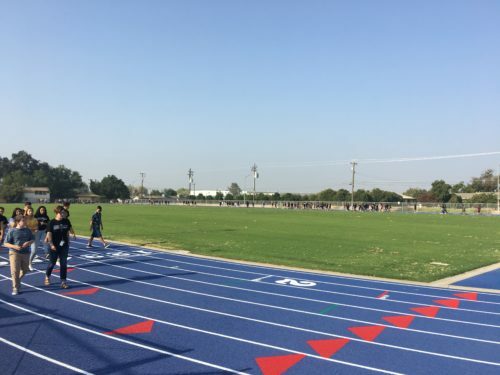 This project was led by Darden Architects with Blair Church and Flynn civil engineers and included improvements to the track and field, tennis courts, play courts and baseball field. 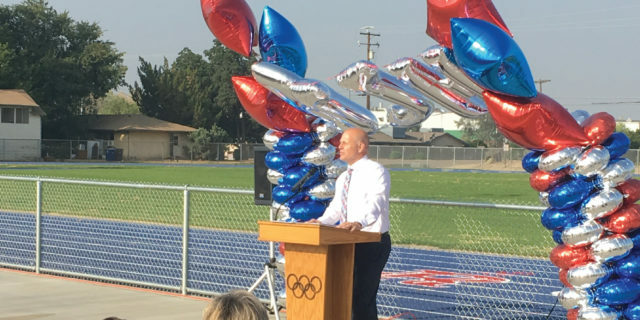 The program began with a speech by the school principal Bobby Rodriguez talking about how important this project is for the student athletic achievement. 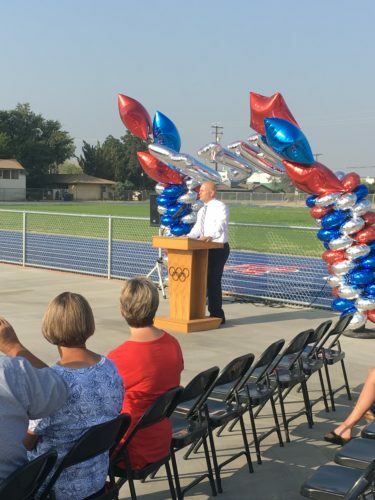 This was followed by a few words from the District superintendent Dr. Wes Sever thanking the Board members and those involved in the design and construction. 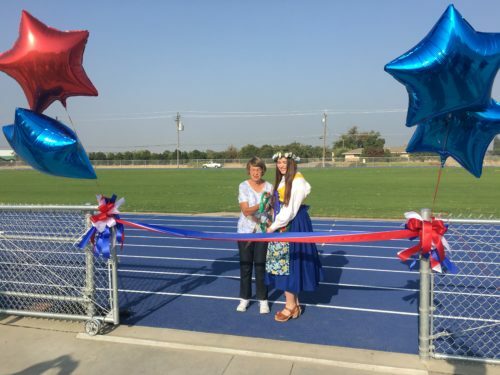 The ribbon was cut and the entire student body and assembled crowd walked the track for the first time ever. 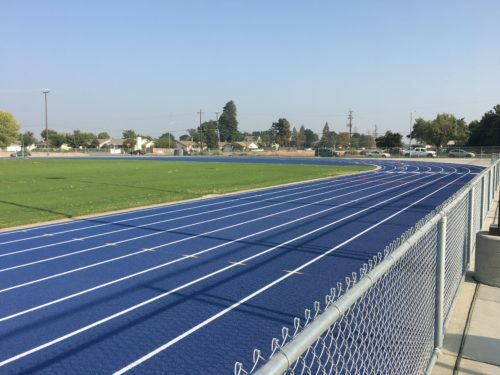 We enjoy working on projects like this because of what a fantastic message they sent to the community about investment in student facilities, and help to show how the District Board is being good stewards of the bond funding. 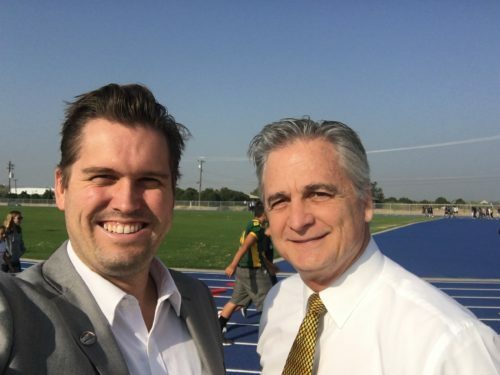 Special thanks to the District for the opportunity to work on this project, we look forward to future collaborations. Next » Please vote for Darden Architects in this year’s Best of Business Awards!